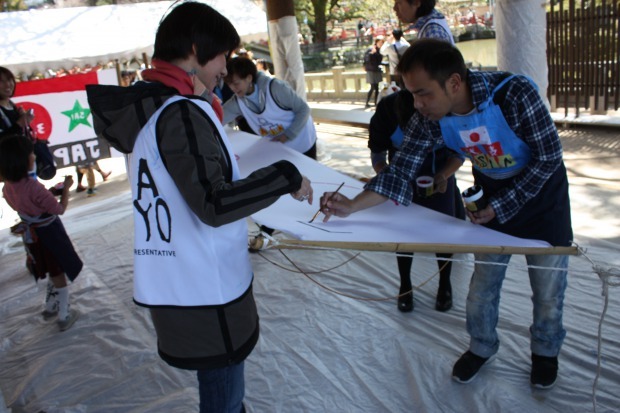 The Match Flag Workshop was held in Dazaifutenmangu. 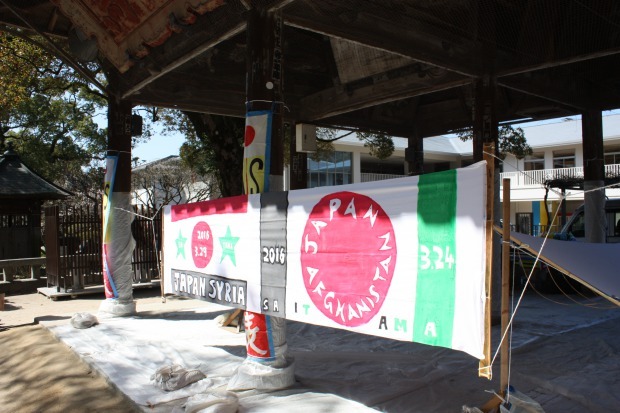 This time, we made the match flags for the 2018 FIFA World Cup Qualifiers (JAPAN vs. Afghanistan /JAPAN vs. Syria) scheduled in March. 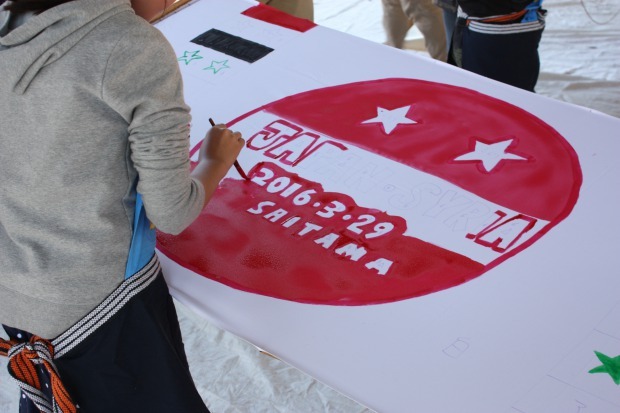 We also made the match flags for the J1 League game coming up for Avispa Fukuoka. 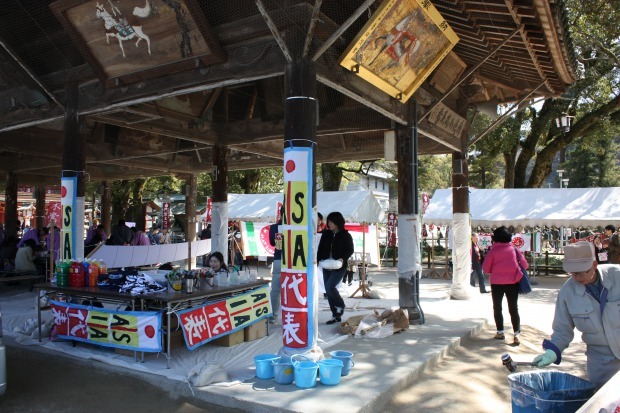 It was cold but a beautiful sunny day and many people joined us. 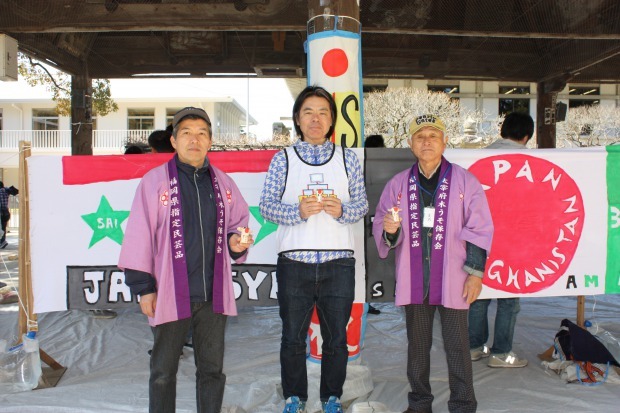 The first participants were from abroad. They didn’t have much time until their bus leave but were so much into drawing that they almost missed their bus. Some children who have enjoyed the match flag workshop in the past came to have fun again, beautifully coloring the match flag. We are happy to hear that the match flag workshop is becoming well known and many people look forward to it. Thank you to everyone who participated in the workshop.